The new single San Francisco trio Black Rebel Motorcycle Club is actually a cover of fellow Californian rockers The Call. The connection between the two bands is an important one; BRMC’s bass player Robert Been is the son of Michael Been who was the singer from The Call. Sadly, Michael passed away backstage from a heart attack while working as a sound engineer for his son’s band. Despite this sombre note, “Let The Day Begin” is an absolutely rocking track. Imagine the Oasis meets The Verve meets Kasabian with some alternative-rock riffing, then turn it up to 11. It’s that good! 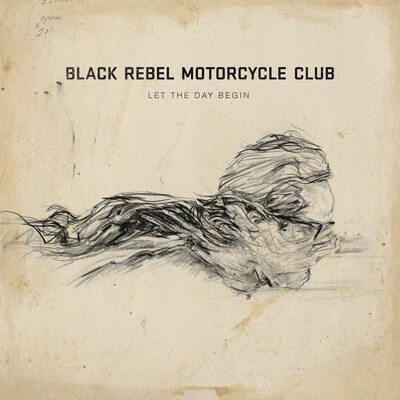 All comparisons aside though, truth be told BRMC completely make “Let The Day Begin” their own and it sits perfectly with the band’s already stellar back-catalogue. If “Let The Day Begin” is anything to go by, the new album is gonna be absolutely massive. “Let The Day Begin” is the first single from the seventh album from Black Rebel Motorcycle Club entitled ‘Specter At The Feast’ due for release on 18 March, 2013.